© Provided by AFPRelaxNews A Bengal tiger cools off in a pond inside a cage during a hot summer day at Alipore Zoological Garden in Kolkata. 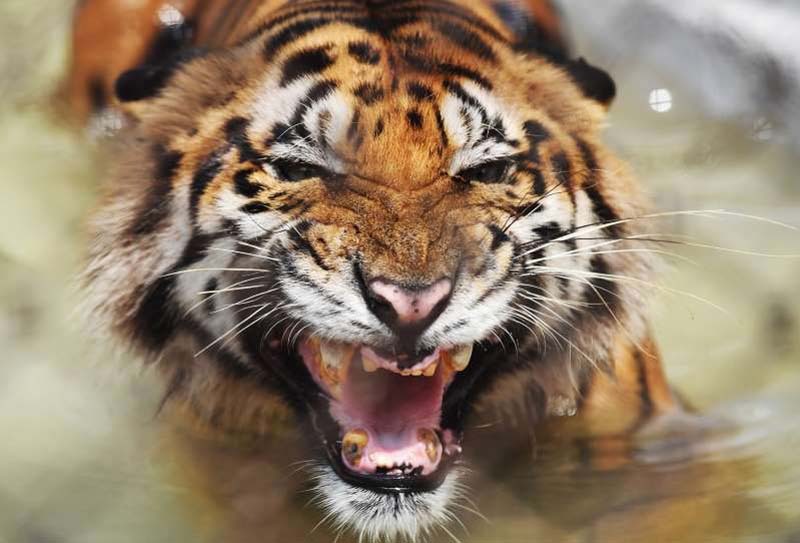 Key threats to tigers' survival include habitat loss and poaching. Researchers analyzed the complete genomes of 32 tiger specimens in order to confirm they fall into six genetically distinct groups. Although tigers are believed to have roamed the Earth for the past two to three million years, the current population traces back to about 110,000 years ago, "when tigers suffered a historic population bottleneck," said the report. Researchers found very little evidence of breeding among different tiger populations. This low genetic diversity indicates that each subspecies has a unique evolutionary history. It also sets tigers apart from other big cats like jaguars, which more commonly intermix across entire continents. "Tigers are not all alike," Luo said, noting that key differences include body size and fur color. Reversing the decline of tigers means "maximizing the efforts to preserve the genetic diversity, evolutionary uniqueness, and potential of the species Panthera tigris," concluded the study.